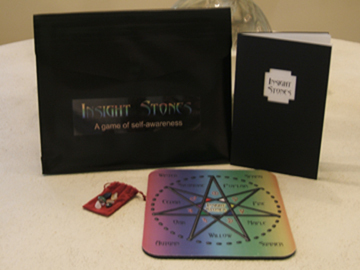 Insight is just a stone’s throw away with Insight Stones. Gain a deeper understanding of yourself, others, and your surroundings using seven vibrant gemstones as your guide. 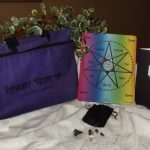 Ask your question and toss the stones onto the mystical 7-pointed star in the center of the board to reveal the vibrational wisdom of trees, planets, colors, and seasons. Play alone or with friends. Record insights in your journal to track progress toward your goals. Discover hidden knowledge as you delve into psychological, situational, and spiritual aspects of important life questions to gain new perspectives.